Coping with the summer heat can be hard work, not just for us but also for our garden. Keeping our garden green during the summer can be more challenging, but it is certainly not impossible. At Gonzalez Landscaping and tree services we provide the best services for your grass, lawn or yard and we would like to share with you some tips to keep your grass green during the summertime. Water deeply but infrequently: set your irrigation system or if you do it yourself, schedule to water your grass more deeply during the summer. The heat will absorb this water more quickly, so you need to make it abundant. Don't do shallow watering every day. It is preferred to water with lots of water less frequently. Feed your grass every 6-8 weeks. A well-fed grass grows thicker which cools the soil and crowds out weeds. In the summer, you can mow the lawn a little higher; this way the soil will be more protected and moist from the intense heat. Water early in the morning, this way you reduce the evaporation water waste. Reseed and renovate on dry or old patches. Some spots may have grown a variety that can't handle the heat. You can replace them with heat friendly grass. 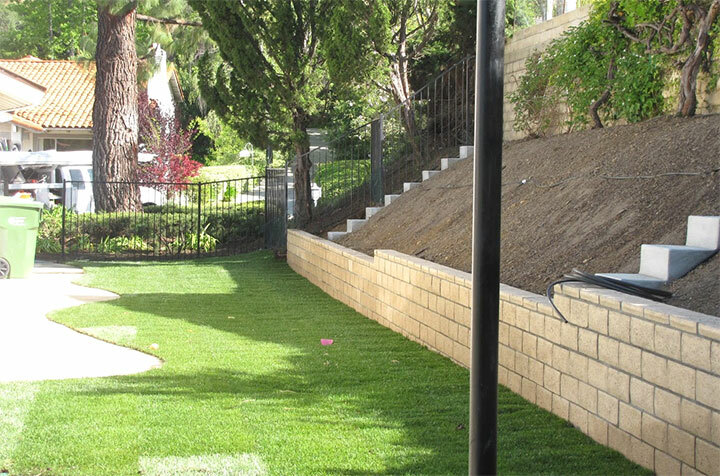 Call our professional landscapers at Gonzalez Landscaping and tree services to have a beautiful grass or garden all year long. We will provide the best care and tips for the garden of your dreams!